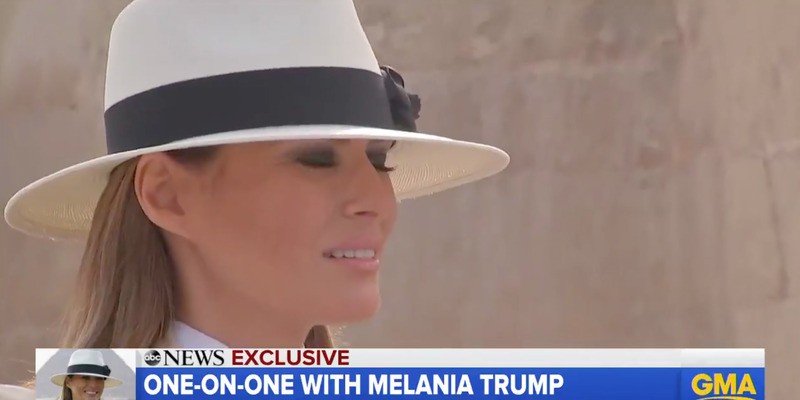 ABC/TwitterMelania Trump on ABC News, Wednesday. Melania Trump says her husband’s politics are hurting her attempts to partner with aid organisations. She said to ABC host Tom Llamas, broadcast Wednesday, that groups are “chosing the politics over helping others,” as they don’t want to be associated with him. Melania Trump says her help is being shunned by aid organisations because they don’t want to be associated with her husband’s administration. 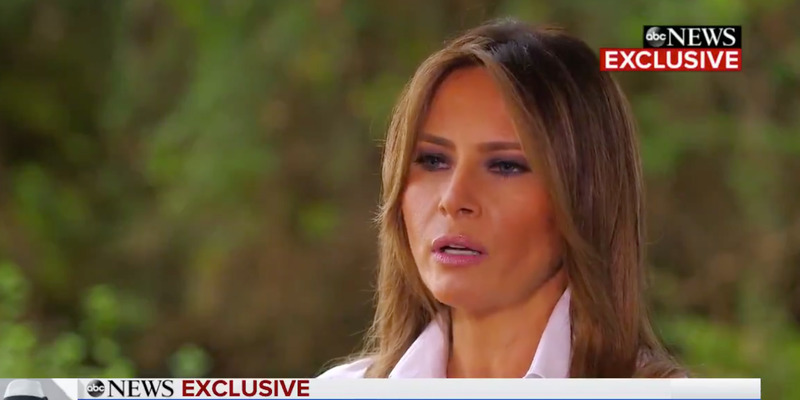 Trump was speaking to anchor Tom Llamas in an interview about her upcoming ABC documentary called “Being Melania – The First Lady,” which airs at 10 p.m. (EDT) on Thursday. ABC/TwitterMelania Trump in Egypt, October 2018. A main push of the First Lady’s advocacy in office has centered around fighting cyber bullying, something which she’s passionate about. But the President stands accused of using his Twitter account and public speeches as often mocking or bullying opponents. She was speaking to ABC in Egypt on Tuesday, one of the stops on her first solo tour abroad to Africa.